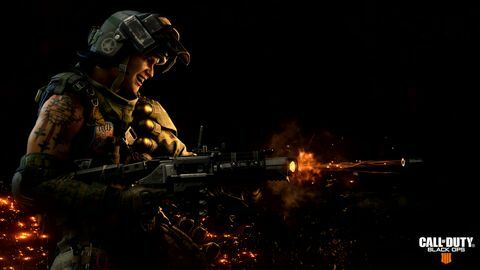 Baz checks out TREYARCH's foray in to the world of Battle Royale! 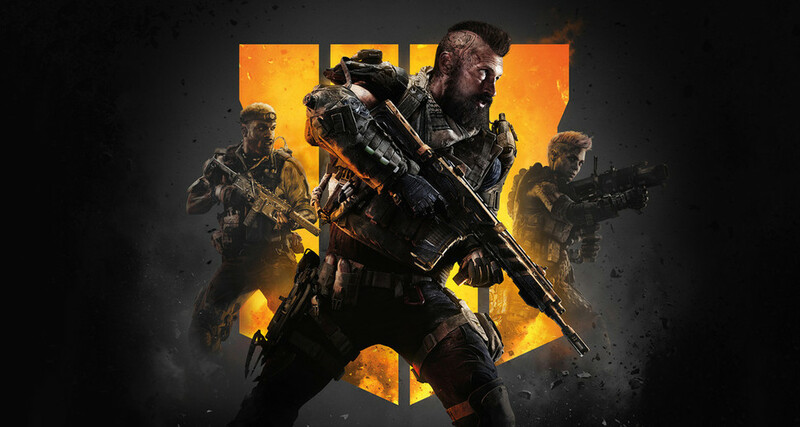 Call of Duty: Black Ops 4 is a single game in the same way The Orange Box was. Sure, it comes as one package – but inside of that box are three very distinct experiences. 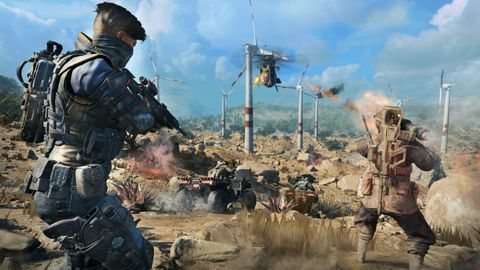 This has been the case with COD for many years, but normally there is a through line binding it all together – such as how the campaign typically introduces the settings of new multiplayer maps. 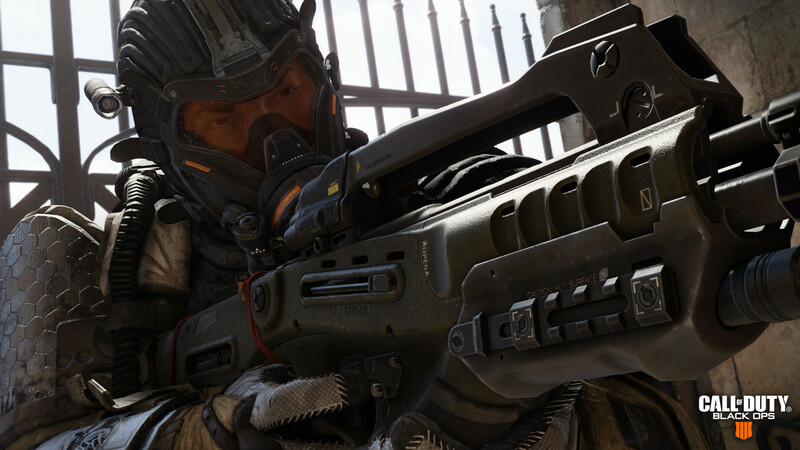 BLOPS 4 lacks a through line – and a campaign too, for that matter. The new Blackout mode, for instance, feels about as related to the Multiplayer as Team Fortress 2 did to Half-life 2. But, like Orange Box, this isn’t a bad thing. 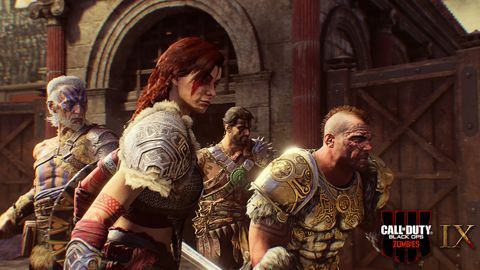 For your money, Call of Duty: Black Ops 4 offers a smorgasbord of fun, in three very distinct tones and mechanics. In my time with the game, I never had the chance to be bored - jumping from a multiplayer match, to a round of zombies and then into some tense Blackout bouts and back again. These are not modes that you finish one by one before moving onto the next, but three multiplayer services bundled into one endlessly fun-feeling product. These are not modes that you finish one by one before moving onto the next, but three multiplayer services bundled into one endlessly fun-feeling product. It is for this reason I didn’t miss the campaign. Honestly, going into this game, I expected that I would deeply feel the loss of it – being the kind of gamer who likes to play through the campaign before dipping my toes into the multiplayer offerings. But, it is not the story of COD titles I enjoy, but the variety of experience. These games have always tapped into a bombastic grandeur as they moved from one incredible set-piece to the next. Although I did slightly miss the scale and bespoke-nature of these campaign set-pieces, I was surprised to find that I wasn’t feeling the loss of that variety from a campaign– because the multiplayer offerings supply this instead. 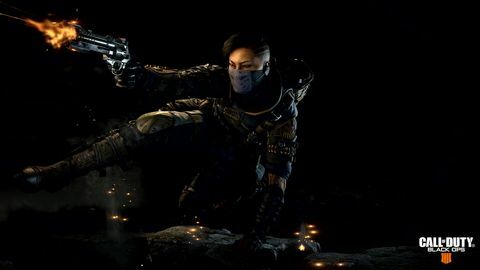 Although the campaign is gone, the game does continue the Black Ops story in the form of a series of short videos unlocked by playing the tutorials for the ten different specialists. For each specialist, you watch their arsenal and origin video and play through a tutorial and match against AI as that character. In return, you unlock another piece of the unfolding Black Ops narrative - which remains as baffling as ever but is an interesting reward for learning the games new multiplayer mechanics, maps and specialists through the approximately three and a half hours it takes to go through all ten. The specialists themselves are an interesting assortment of characteristics and playstyles. Though you may choose to skip the almost four hours of tutorial, I would recommend watching each of the characters one-minute origin video. These are ultra-realistic and beautifully crafted cutscenes which flesh out the ten characters you will be spending your time with in multiplayer. Though you will probably end up choosing your MP character for playstyle over personality, it is still nice to have that person you chose be more than just an avatar with different skill sets. These skill sets add an interesting new element to multiplayer. Though I wouldn’t go as far as to say it makes it feel like a hero-shooter, the interplay between these different skill sets does have a whiff of the genre. Honestly, at low to mid-level games, these skill sets come into play about as much as killstreak bonuses do – they mostly just act as fun one-off bonuses you earn during a match. I liked to play as prophet, who can chuck down a homing drone which tracks down and electrocutes an enemy - allowing me to follow it to the nearest foe and take them out while incapacitated. Characters like prophet, and about half the other characters, feel like the archetypes designed to be fun for those just wishing to jump in and have a good time. The other half, however, feel like they are really going to be interesting for high-level coordinated play. The specialist Torque, for instance, has barbed wire and a barricade which if used strategically by coordinated teams, could be incredibly effective. However, I found that in the ‘out for yourself’ mentality of matchmaking COD, it wasn’t as easy to make a skill set like this particularly effective. Besides the new dynamic this specialist interplay introduces, the multiplayer itself is fairly standard - with a similar assortment of modes and maps to past installments. In terms of balance, the biggest change in this game is the slightly higher time to kill. In general, enemies take a little more damage to take down, and this is further emphasised by the new active healing system. Unlike past games, players can now heal themselves instead of having to wait in cover. In my opinion, this is a good step for the multiplayer, as that slight increase in survivability makes encounters feel more strategic. Previously, getting caught unawares was a death sentence, now it is possible to manoeuvre yourself to safety while healing and come out for a showdown on equal footing. Unfortunately, I did experience a fair number of bugs and instability in my time with the game. Some of these can be put down to launch weekend server instability but mixed in with this were several crashes and other roadblocks. The most frustrating was a glitch caused by offer redemptions which prevented me, and many others it seems from my searches for a solution, from even getting past the title screen. After several hours of problem-solving on launch-day I found a workaround, only to have the problem resurface once a day for the past four days. Like the multiplayer, the Zombies mode of BLOPS 4 also feels familiar in all the best ways. This installment introduces two new zombie scenarios: XI, set in a medieval arena with a weird blend of cultures involved, and Voyage of the Dead, which takes place on the Titanic moments after it hits the iceberg. Both maps involve the Chaos crew – a new approach to the Zombies storytelling which involves a healthy dose of mythology and legend in its systems and narrative. Also present in this package are remakes of two previous Zombies scenarios: Alcatraz set, Blood of the Dead, and Classified, the Pentagon map from the first Black Ops. We always knew that PUBG was a janky, rough-around-the-edges experience, but when held up beside an experience executed at the high level of Blackout – the contrast is startling. All together, these offerings provide a good range of settings and stories that keep bouncing between matches interesting. 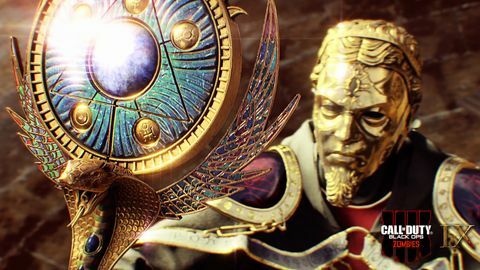 The new scenarios have particularly distinct aesthetics and challenges, with the Arena and Titanic playing about as different as is possible while engaging in the familiar loop of COD Zombies. 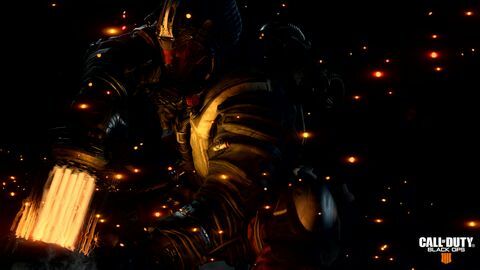 While Zombies and Multiplayer are excellent, the real star of COD BLOPS 4 is the new Blackout mode. 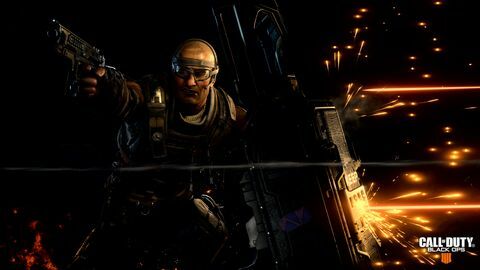 Many people rolled their eyes when Treyarch announced that their latest installment would include a Battle Royale mode. From their early announcements, it didn’t sound like they were going to bring anything new to the table that PUBG and Fortnite weren’t already doing. Ultimately, that is still true. 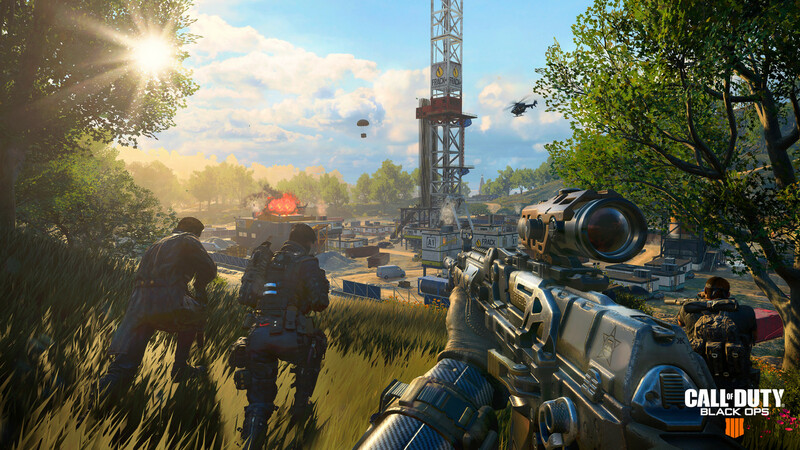 Blackout doesn’t introduce any new mechanics to the genre, it doesn’t innovate on the formula – in fact, it barely attempts to differentiate itself at all. What it does do, however, is execute all the elements and mechanics we have grown to love in games such as PUBG using the resources and expertise of one of the biggest development powerhouses in the world. Every house, every shed, every tree and hill in Blackout is utterly unique and makes the map a constant delight to explore and battle within. The level of detail, polish and dynamism on display in Blackout is instantly enrapturing. It is difficult not to compare the mode to PUBG, and at every turn I was floored by the comparison. We always knew that PUBG was a janky, rough-around-the-edges experience, but when held up beside an experience executed at the high level of Blackout – the contrast is startling. After an afternoon of playing Blackout, I loaded up PUBG to compare. Honestly, if Blackout is a Porsche, PUBG is an abandoned Skyline rusting beneath an underpass. It is unfortunate for them, but it is almost undeniable that Blackout has co-opted almost every element of PUBG and executed it hundreds of times better. Take for example, the shooting. Though PUBG has made leaps in the past half a year, there has always been conversations about how successful shooting in the game required an almost predictive mind – in which, you would need to learn the quirks of the game’s janky systems to properly predict where your bullets would end up. I can’t tell you what a relief it was to jump into Blackout where elements such as aiming, and bullet trajectory are clear, intuitive and precise. Almost every PUBG match finishes with questions around why I lost that last shootout – Blackout raises no such ambiguity. With every won or lost shootout, I knew exactly how and why I was successful or dead. Obviously shooting is an important element to compare, but the comparison goes so much deeper. The depth of detail involved in the Blackout map unfortunately highlights just how kit-set the PUBG maps are. There is an inescapable feeling of copy/paste in the buildings of PUBG, whereas every house, every shed, every tree and hill in Blackout is utterly unique and makes the map a constant delight to explore and battle within. it is almost undeniable that Blackout has co-opted almost every element of PUBG and executed it hundreds of times better. I know, considering the differences in their scale, it is unfair to compare PUBG to Blackout – but, that is the nature of our capitalist world. 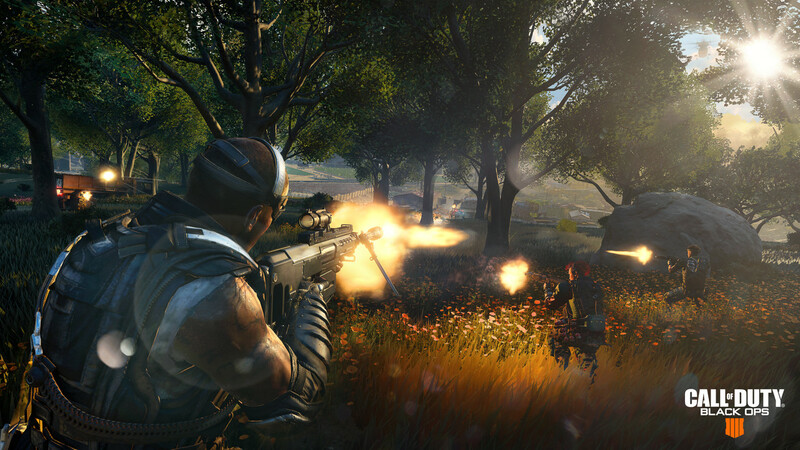 PUBG created a unique experience and introduced the world to a brand-new way to play competitive shooters, and unfortunately for them, Blackout has swooped in and copied every aspect of that experience and executed it better in every way. There will no doubt remain a niche of players who will prefer aspects of PUBG. For instance, there is a much bigger sense of isolation in PUBG than Blackout. It is possible to experience larger chunks of time in which you are unlikely to encounter other players and spend larger stretches of time traversing the map. Personally, I think that this is another flaw of the experience, but it an aspect that will appeal to some. Blackout, on the other hand, has a map which provides more vehicles and is scaled much smaller, so encounters are more common and traversal much quicker. There will undoubtedly be people who prefer this aspect and others in PUBG, but for most players, it is hard to see how after playing Blackout they could ever want to go back to PUBG. If you’re a fan of Call of Duty multiplayer offerings - boy howdy do Treyarch have an instalment for you. But, if you’re in it for the single player, you’re going to be severely disappointed – though hopefully that’s not a surprise, considering we’ve known there would be no campaign for five months. The combination of Multiplayer, Zombies and the brilliant new Battle Royale mode Blackout, offer a multiplayer feast. A smorgasbord of experiences which makes it feel like a package which will remain interesting, fun and exciting far beyond the release of the next annual COD instalment. Ups Specialist system, Increased time to kill, compelling mix of Zombie scenarios, overall level of execution – particularly in Blackout. Downs Several bugs, glitches and crashes, server instability.